Like all taxes, your property tax is one of the government’s many ways of collecting money from you and repurposing it for the greater good of the community. In the case of a property tax, the government requires that the owner of a plot of land give back a non-uniform amount of money that’s determined by the size and overall value of the land. Property taxes are often given as a percentage. The authority – most usually an appraiser – multiplies the assessed value of the property by the mill rate (the amount of tax per thousand currency units) and then divides by 1,000. Thus, a property with an appraised value of $50,000 that’s in a place with a mill rate of 20 mills would have a property tax of $1,000 per year. If you’re going to have an assessment on your property tax, you’ll need for an appraiser to come out to your property. Appraisers may work for either the government or a private industry, and they’re charged with determining the value of the real property for any purpose necessary. Appraisers investigate the selling prices of all similar houses in the county, the cost of replacing the property if it gets destroyed, and the most appropriate price that the house would sell for. From there, the appraiser will typically assign a value on the property tax based off those figures. Real Property – Real property constitutes everything found on that particular property, including buildings, structures, and improvements. Personal Property – These are movable objects found on the land, such as cars, trucks, boats, motorcycles, and furniture, fixtures, and equipment. Fair Market Value – Fair market value determines the reasonable value that can be placed on a property. Assessment Ratio – This is determined by the percentage of your property’s value that is subject to taxation. Assessed Value – The assessment value is an appraisal of real and personal property multiplied by an appropriate corresponding ratio. 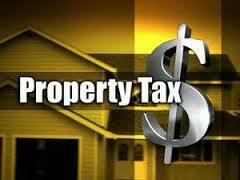 The property tax due is the assessed value times the millage rate. Reassessment – If you make a home improvement, the state must reevaluate the value of the property. Appraisers use information made available by the county assessor to determine property value. This information deals with the size of the land, the square footage, the location, and all particular amenities. The assessor also has information on building permits. To find the fair market value of any property, the appraiser must know the property values of all nearby properties, what it would cost to replace the property, and how much it costs to operate. Additionally, the appraiser will likely consider three different approaches. Sales Comparison Approach – Comparing property to others that have sold recently. Cost Approach – Assessing how much money it would take to replace the property. Income Approach – Determining how much income the property would produce if rented. There is a chance that you’ll get your figures back from an appraiser and disagree with them. If that is the case, you’ll have to submit a written appeal within 30 days of receiving the assessment notice. If you appeal your property value but it is not settled by December 31, you’ll be billed for 80% of the assessed property value for the current year. You may request, however, to be billed more than 80% in hopes to avoid paying interest should your appeal not be successful. Once the appeal is resolved, you will either receive a refund or be expected to pay additional tax.